Carlos Correa, superstar shortstop, was selected first overall in the 2012 MLB Draft by the Houston Astros. Since making his debut on June 8, 2015, he set numerous franchise records, and was ultimately named the AL Rookie of the Year. Correa was named to his first All-Star game in 2017, and was a key member of the World Series Champions team. 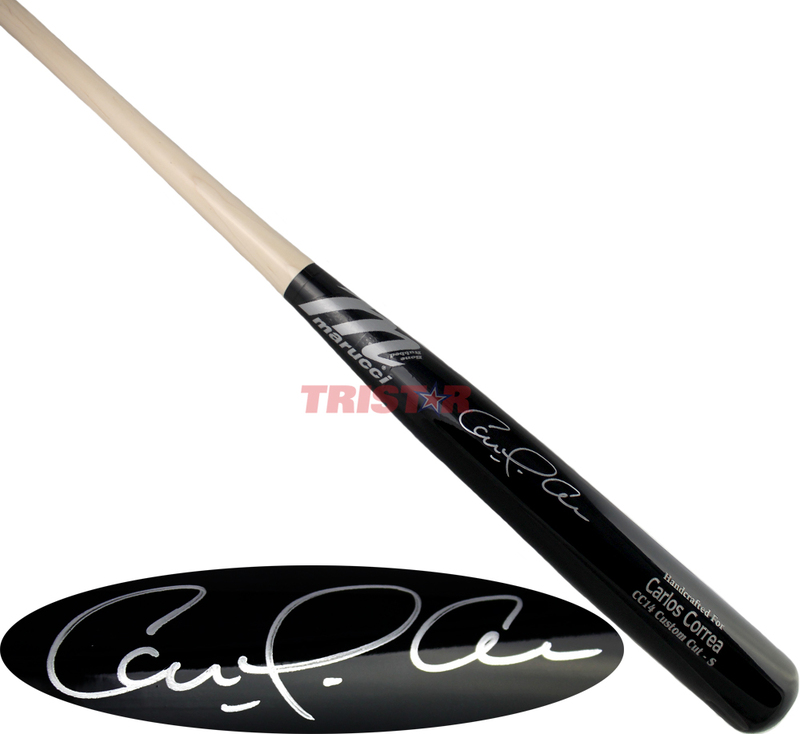 This game model bat by Marucci has been personally hand signed by Carlos Correa. Each autograph is guaranteed authentic, and includes an individually numbered TRISTAR Authentic hologram.